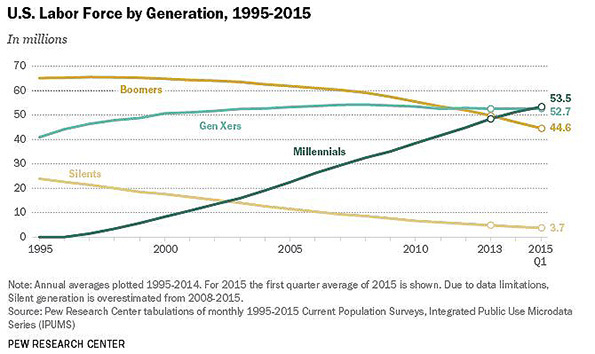 Millennials now make up the largest portion of the American workforce. (Chart: Pew Research Center) And it’s worth noting that, with 90 million volunteers, America’s largest employer is non-profit institutions. While non-profits don’t have a conventional bottom line, management philosophy is as key for charitable organizations as it is for businesses. We must steward our resources for maximum effectiveness in order to better concentrate on mission. And by resources, I don’t just mean money. Our greatest assets are our people. As the workforce grows younger, we must shape tomorrow’s leaders in how we manage and mentor them today. So what’s the secret for bridging generational gaps in the workplace? 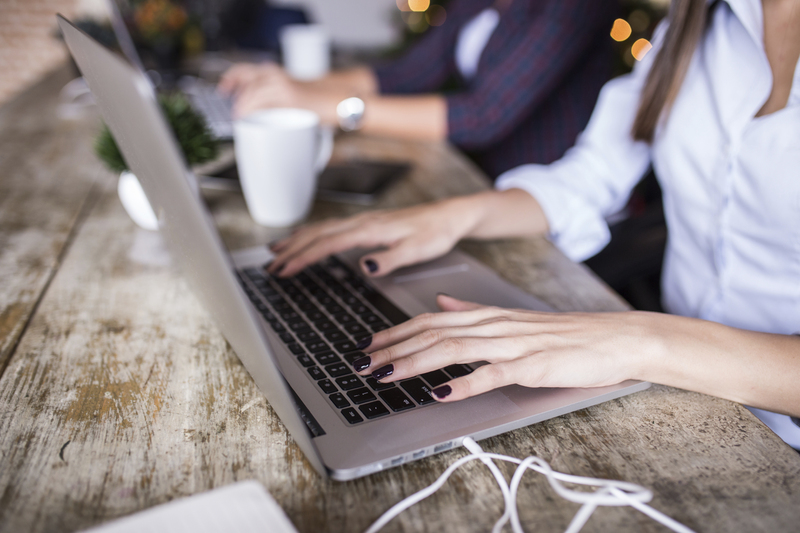 Two powerhouse individuals—Frances Hesselbein, head of the Hesselbein Leadership Institute (formerly the Peter F. Drucker Foundation for Nonprofit Management), and Joan Snyder Kuhl, founder of Why Millennials Matter—got together to tackle this very question. Hesselbein and Kuhl developed an enhanced edition of Peter Drucker’s Five Most Important Questions: Enduring Wisdom for Today’s Leaders (Wiley). This book—a collaboration of Drucker’s insight peppered with commentary from distinguished management gurus, contemporary entrepreneurs and dynamic millennial leaders—brings clarity and purpose to any young influencer’s work while bridging the generational gap that may exist in their workplace. What is our mission? It should be so short and clear that it will fit on a T-shirt. Keep it always in front of you as the measure against which all decisions are made. Who is our customer?No matter what you call them—donors, students, patients, clients—ultimately you must decide WHO must be satisfied for your organization to achieve results. What does the customer value? What satisfies our customers’ needs, wants and aspirations is so complicated that only they themselves can answer it. It requires that you ask, then LISTEN to their answers. What are our results? You further the mission when you determine then measure how lives or condition are changed by your organization—people’s behavior, circumstances, health, hopes and above all their competence and capacity. What is our plan? After self-assessment, you must create a plan that is a concise summation of the organization’s purpose and future direction. It transcends today while guiding and informing it, providing a framework for goal setting and mobilizing resources to get the right things done. 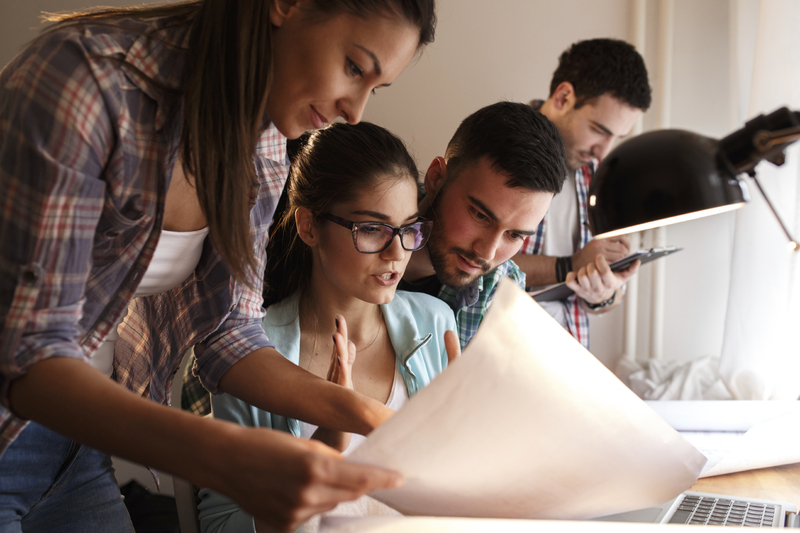 Take to heart these questions and quotes and you will be well on your way to creating a culture where Millennials powerfully and creatively contribute to furthering your mission. Remember that being able to communicate effectively to Millennials in their style is key to unlocking and unleashing their productivity. Peter F. Drucker, The Drucker Foundation Self-Assessment Tool: Participant Workbook, rev. ed. (San Francisco: Jossey-Bass, 1999), 22-24. Drucker, Peter F.The Five Most Important Questions You Will Ever Ask About Your Organization.